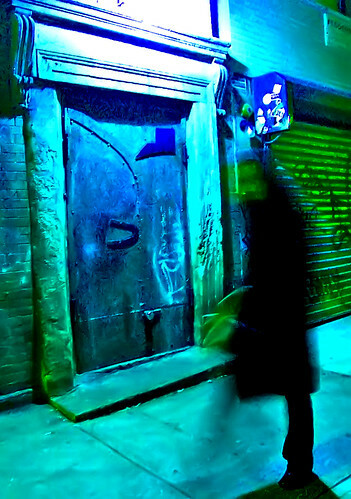 The Ghost of Peter Stuyvesant, originally uploaded by Goggla. They say Peter Stuyvesant still walks the streets of the city, keeping an eye on things. Could this shadowy figure spotted late one night on the Lower East Side be Old Silver Nails himself?